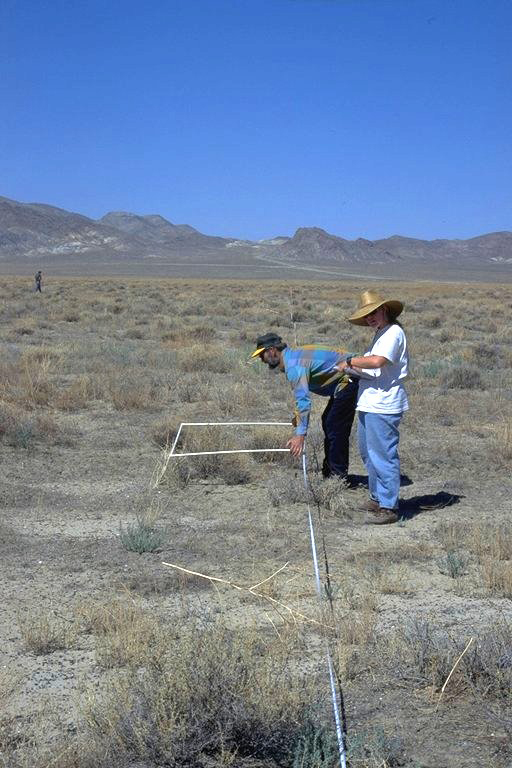 This study mapped and characterized plant and animal (vertebrate) communities present on 115,000 acres of land in the western Great Basin Desert for incorporation into a GIS display. 45 upland plant community types were provisionally defined and mapped on the basis of Natural Resource Conservation Service soil maps and associated Range-Site Descriptions, and interpretation of aerial photographs. Wetland habitats sampled included both man-made irrigation channels and naturally occurring springs and stream beds. Plant communities were sampled with semi-quantitative releves and quantitative 100-m line transects in proportion to their area as determined from the provisional maps, and measures of species importance were derived from the data. Cluster analysis and ordination techniques were applied to each measure of plant species composition and structure to identify community types. The resulting classifications were compared, and original plant community designations refined based on these results. Animal species distributions were evaluated with respect to their distribution relative to the plant community types. 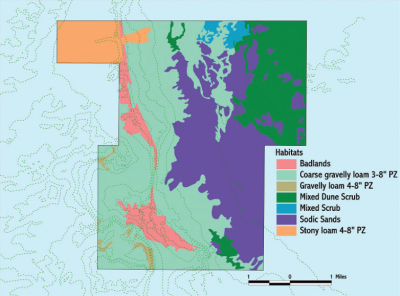 The GIS data sets developed from previous wetland delineation projects were translated and integrated into a consistent electronic format and were incorporated into the GIS developed for this study which includes the results of the soils and vegetational community mapping.